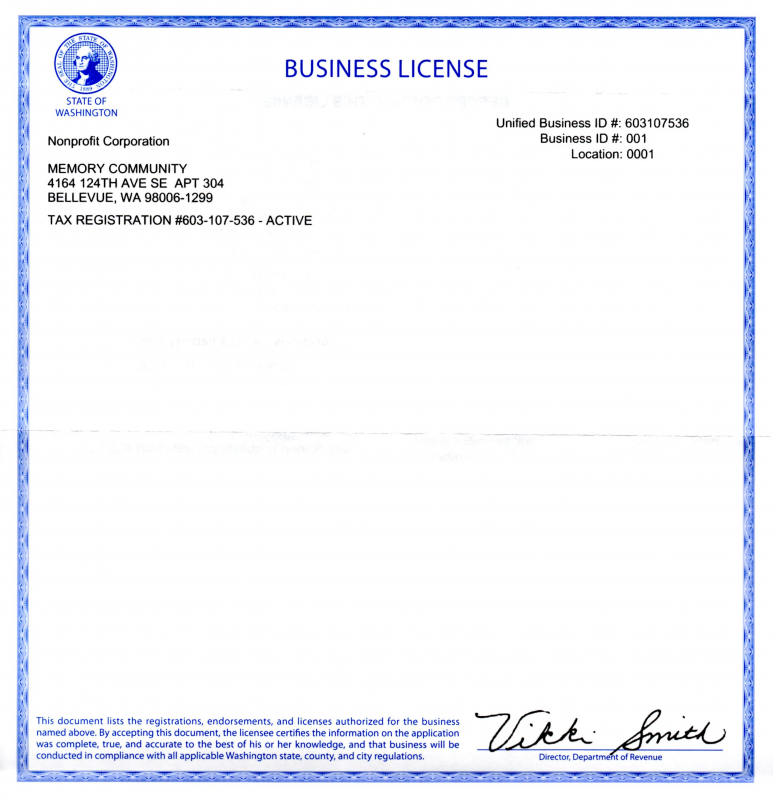 You are seeing our renewed non-profit license. It heralds our 7th anniversary in two weeks or so. We serve elders in a very unique way. We think out of box. Memory Community is here for everyone as everyone has memories. Especially when we get older, we feel memories are even more precious to keep and share.